With an accessible base price of just $20,150 MSRP*, the 2017 Toyota Prius c is one of the most affordable ways for drivers in Santa Ana and Culver City to enjoy the benefits of outstanding hybrid fuel economy. This hybrid hatchback features great mileage ratings across the board, aided by a variety of innovative features that help it maximize efficiency. Here, we’ll take a closer look at the MPG ratings and efficiency features on this subcompact hatchback, available now at Marina del Rey Toyota near Manhattan Beach. Choose to save more with the EV Mode’s ability to run .5 miles on electric power alone and the ECO Mode’s ability to limit certain electronic operations and throttle response. This system lets the vehicle’s gasoline engine and electric motor work separately or together to help maximize efficiency. 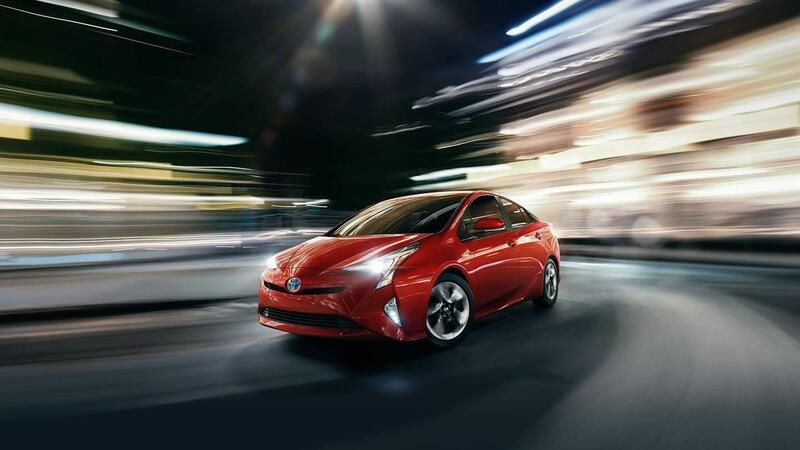 The Toyota Prius c has earned the government’s “Super Low Emission Vehicle” status thanks to its outstanding fuel efficiency measures. There’s no questions about savings on the Prius c, which is able to get an EPA-estimated 48 mpg city and 43 mpg highway**. The 2017 Toyota Prius c comes powered by a 1.5L four-cylinder gasoline engine and an electric motor mated to a nickel-metal hybrid battery. This system combines to send power to the front wheels via a continuously variable transmission (CVT). The system is also complemented by a sequential multi-point EFI with Electronic Throttle Control System with intelligence (ETCS-i) to maximize performance and fuel economy. You’ll also be able to monitor your Prius c’s efficiency thanks to the Multi-Information Display, Energy Monitor, ECO Savings display, and ECO Score display. When you’re ready to experience the MPG savings of the 2017 Toyota Prius c, come to Marina del Rey Toyota, serving Manhattan Beach and Culver City area drivers at 4636 Lincoln Blvd in Marina del Rey, CA. We have a full stock of Prius c models right now, as well as a hassle-free financing process. Got questions? Don’t hesitate to call us at (310) 439-9894.